Sunwing is introducing a new flight service from Detroit Metropolitan Airport in Michigan for the first time ever. Starting January 20th, 2019 until April 22, 20,19 inclusive, travellers can book select vacation packages to Punta Cana and Montego Bay with weekly direct flights from Detroit. Flights to Punta Cana will operate on Sundays, while flights to Montego Bay will operate twice-weekly on Mondays and Fridays. Travellers can choose from a number of vacation packages, all in Canadian dollars, from Detroit to resorts in Punta Cana, including the family-friendly Royalton Bavaro Resort and Spa. Located on the sparkling white sands of Bavaro Beach, the resort has something to offer vacationers of all ages including an on-site splash pad, lazy river and a FlowRider® surf simulator. In Montego Bay, travellers can choose from a number of beachfront resorts on Jamaica’s famous white-sand beaches. The recently-renovated Sensatori Azul Beach Resort Jamaica is located on the sparkling shores of legendary Seven Mile Beach in Negril and is ideal for both family-friendly vacations and romantic getaways. Vacationers can stay in modern rooms and enjoy a range of dining options with Karisma’s Gourmet Inclusive® experience. Jewel Paradise Cove Beach Resort and Spa is another beautiful resort in Runaway Bay that’s home to a stunning state-of-the-art spa, fitness facilities including yoga classes and diverse dining options. 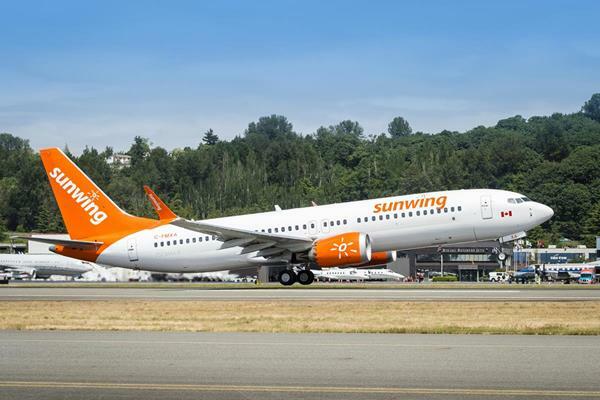 All Sunwing packages from Detroit include return airfare on Sunwing Airlines aircraft, airport transfers and the services of a Sunwing representative. On board, travellers can look forward to a complimentary non-alcoholic drinks service, a complimentary snack and a selection of buy on board meals, snacks and alcoholic beverages (all prices in USD)*. Ten adults travelling together can receive special prices, added values and reduced deposits. For more information on group vacations click here. .